Now that spring is here it's time to dust off the cobwebs of hibernation and start catching up with friends. So the other weekend we had a very nice lunch at Ali and Chris's place. They have been busy with their vegetable patch and every time we visit there's always a new treat freshly dug up for our enjoyment. Lunch was a salad of rainbow chard with fennel and parmesan along with their signature entertaining dish - delicious confit trout. There were also little trout and watercress quiches and homemade butterscotch ice-cream. It was nice to catch up and swap recent travel tales and what projects we're all working on. Ali and Chris are working on these beautiful painted tiles for their future dream house and Chris is becoming quite the wood-working master down in the garage. We finished the afternoon up indulging in one of their many tea selections and playing with their cat, Friday. Unfortunately due to my allergies Friday has to endure a bath before I visit but it does mean I can play with her relatively sneeze free. She was hoping to grab a seat for lunch but alas we ate everything. 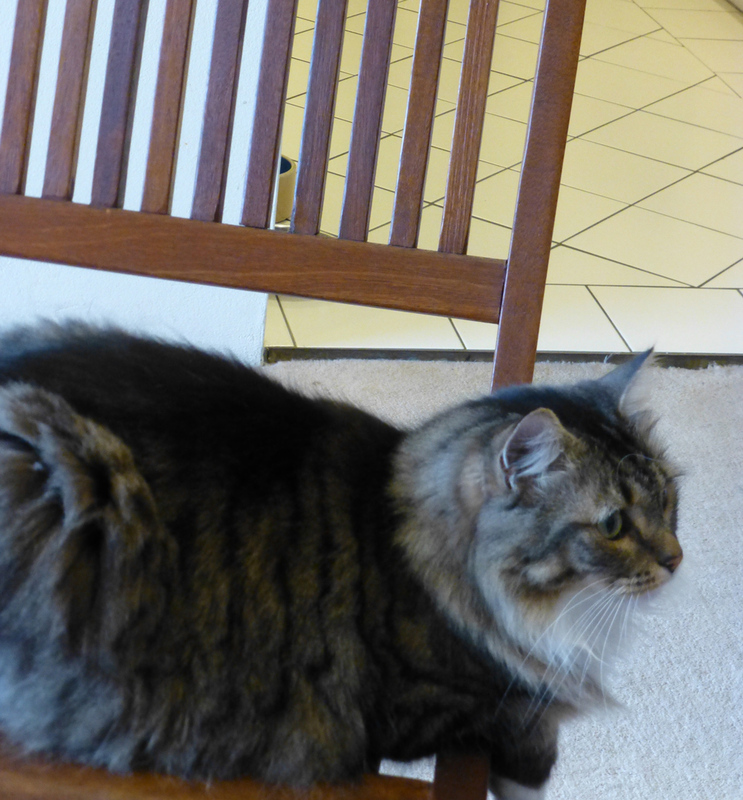 Friday settles in on a dining chair for lunch.